In 2017 cycling continued to grow exponentially in popularity. In recognition of this and the need to reduce vehicle impact, the Government committed some funding to make cycling safer and increase participation but nowhere near enough to do the job properly. Children continue to want and receive bikes for Christmas but cycling to school is only possible in a minority of locations. The increased uptake of e-bikes widened the appeal of cycling but the infrastructure in many cities, towns and villages largely failed to keep pace with demand and reasonable safety concerns for a variety of reasons including funding, political will, a vociferous motoring lobby and the decision-making power of non cyclists. Mass participation events thrived and subject to the limited funding available, trail centres and bike parks increased in size, variation and popularity. Women’s cycling grew as a sport, as a hobby and as a means of transport whilst cycling for health reasons also expanded. Cycle tourism continued to grow in popularity despite low levels of investment due to continued political inertia. After plateau-ing in the early decade years, mountain biking further resurged whilst cyclo-cross and cycling as part of triathlons continued to increased participation numbers. Cycling clubs abound in the North East and once again professional cycle racing made a huge impression on the region but sadly again left no legacy due to political apathy i.e. the total failure for those in power to see the potential that cycling brings. 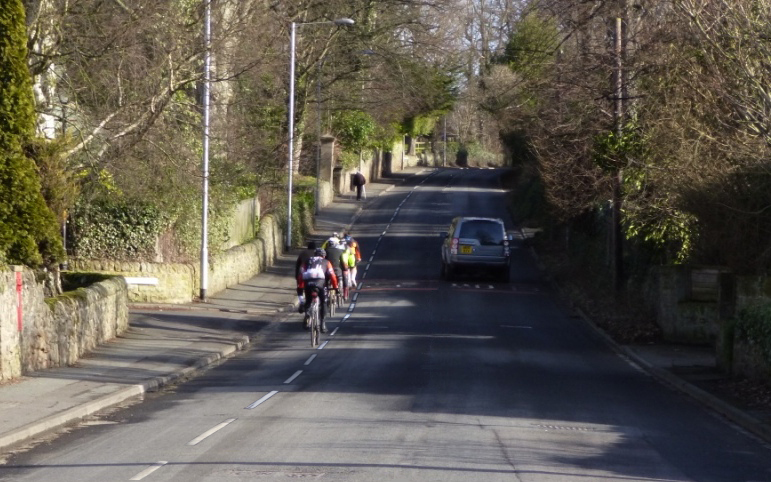 The three main reasons people say they don’t cycle are traffic speed, volume and size. Where it’s useful, even modest changes to the highway like removing the centre line to slow down traffic and introducing advisory cycle lanes which cars straddle when the lanes are empty can make a huge difference whilst big changes such as constructing off-highway cycle lanes can significantly release latent demand for safer cycling. The question is will cycling in 2018 be any different. The certainty is demand will only increase, the variable factor is funding for cycling is scarce but it does exist. The most worrying factor is the political will and energy to prioritise where, when and why available funding for cycling can be wisely spent has been sadly lacking. Cyclists deserve a better implementation system that guarantees facilities for safer cycling where needed. 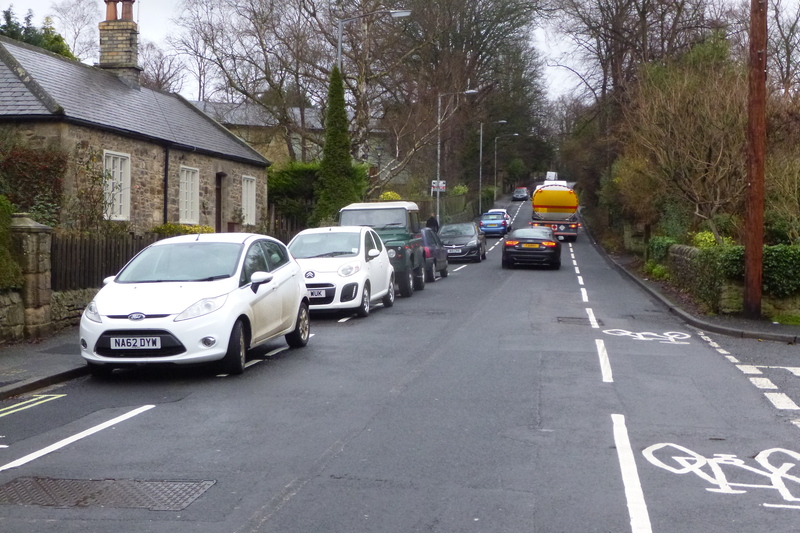 What we don’t need is the removal of even modest facilities that make cycling safer for no other reason than to appease a minority of motorists. Edible Hexham – prizewinners ! Pictured receiving their certificate and award of 350 pounds from the Duchess of Alnwick are Elizabeth Leonard, Sue Hick, Rosemary Theobalds and Wendy Breach. The awards are given every year to community groups and schools for their work in the environment in Northumberland and improving their local area and community. The prize money will be put towards more herbs and veg for new planters in 2018 amd for extra signage. Oue annual plant swop stall at the farmers market will this year be on May 13th. Bring any spare veg, or fruit seedlings or seeds to the stall to swop with something you don’t have. This is a good chance to try something knew or replace failed crops, you never know what you might find ! This year we are also asking for pollination plants for bees and other insects. If you have nothing to swop don’t worry – just give a donation !